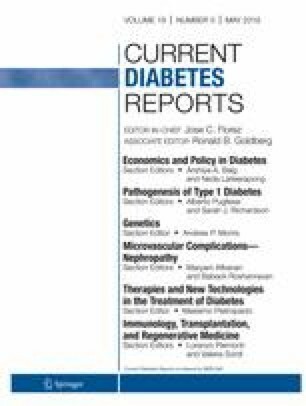 This review describes some of the unique challenges faced by the US-Affiliated Pacific Islands (USAPIs) in addressing diabetes prevention and care and presents innovative population-level strategies that have been employed to address them. Challenges include an unhealthy food environment and a strained health care infrastructure, both compounded by geography. Innovations in addressing these challenges include attempts to modify the food environment, a focus on early life prevention, and task shifting among the health workforce. Many of the successful interventions share a focus on culture, community, and capacity building. Although the USAPIs are uniquely challenged by environmental, structural, and health system barriers, there have been a number of innovative and successful strategies employed that highlight the resilience of these island nations in addressing their current disease burden when provided with the opportunity and resources to do so. Health policies to protect, support, and promote diabetes prevention and care are essential and may be informed by the interventions described. Nicola L. Hawley, Rachel Suss, Haley L. Cash, Nia Aitaoto, Raynald Samoa, Britni Ayers, and Pearl McElfish declare that they have no conflict of interest. International Diabetes Federation. IDF Diabetes Atlas, 8th edn. 2017. Available at: www.diabetesatlas.org. Accessed 18 Oct 2018. Central Intelligence Agency. The World Factbook. Available at: https://www.cia.gov/library/publications/the-world-factbook/. Accessed 14 Oct 2018. World Bank. Current health expenditure per capita. Available at: https://data.worldbank.org/indicator/SH.XPD.CHEX.PC.CD. Accessed 2 Jan 2019.
International Institute for Energy Conservation. Technical analysis of appliance markets to support the Pacific Appliance Labelling and Standards (PALS) Programme. 2012. Available at: https://www.reeep.org/sites/default/files/IIEC%20Country%20Report_Marshall%20Islands_8November2012.pdf. Accessed 2 January 2019. Fiji National University, Pacific Island Health Officers’ Association. Cost of running dialysis in Freely Associated States. Available at: http://www.pihoa.org/fullsite/newsroom/wp-content/uploads/downloads/2014/07/COST-OF-RUNNING-DIALYSIS-IN-FAS-PIHOA-BOARD-MEETING.pdf. Accessed 26 Oct 2018. Health Resources Services Administration. HPSA Find. Available at: https://data.hrsa.gov/tools/shortage-area/hpsa-find. Accessed 14 Oct 2018. Pacific Islands Health Officers Association. Declaring a regional state of health emergency due to the epidemic of non-communicable diseases in the United States-Affiliated Pacific Islands. Board Resolution #48–01. Available at: http://medicaid.as.gov/wp-content/uploads/2015/10/PIHOA-Resolution-48-01-NCD-Emergency-Declaration.pdf. Accessed 26 Oct 2018. Children’s Healthy Living Program. Training Program Overview. Available at: http://www.chl-pacific.org/training/program-overview. Accessed 26 Oct 2018. Johnson K. Children’s Healthy Living Program presents: voices of the Pacific. CHL Trainess Project Status and Updates. Available at: https://prezi.com/x2vcxojyxj6c/childrens-healthy-living-program-presents-voices-of-the-pacific/?utm_campaign=share&utm_medium=copy. Accessed 26 Oct 2018.